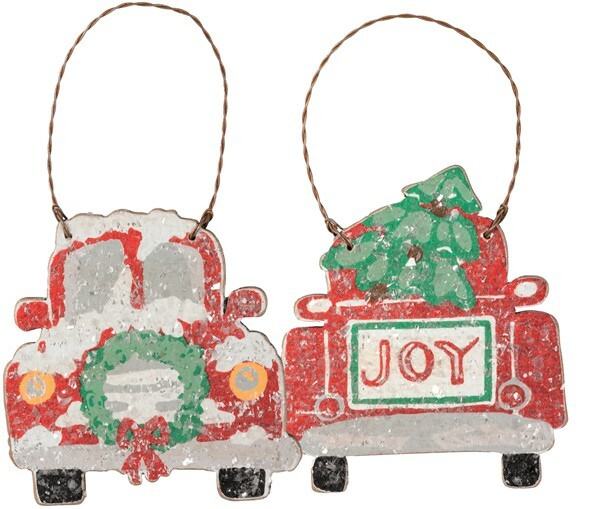 Our set of two retro red trucks decorated for Christmas are perfect for your tree, gifts or to use as special gifts tags. They are made of wood, wire and mica glitter. They are approx 3.5" x 3.50". Our price is for the set of two!